Well we are finally have some frost and even some snow in Yorkshire this week! It’s been very cold and the mud seems to be just about everywhere now. Changing conditions make it difficult for the foot to adapt quickly we are seeing a lots of conditions related to the weather such as foot abscesses, hoof wall cracks and thrush. Problems that can be difficult to manage, painful and just downright annoying when they stop us riding. 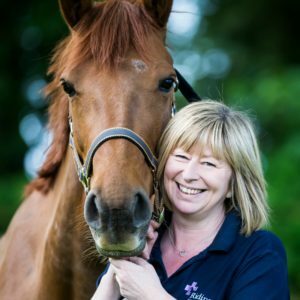 Good hoof care takes time and patience but the rewards will help keep you horse sound over the coming year so it is worth following the simple steps to get the results. Pick feet out twice daily, this task is often forgotten on dark nights when it is cold and wet but it will pay you dividends if it prevents an abscess forming from a stray stone! Clean mud off when possible using a stiff brush. Remove mud from the soles, the grooves of the frog and the outside of the hoof so you can see any visible changes and allow the hoof to breathe. 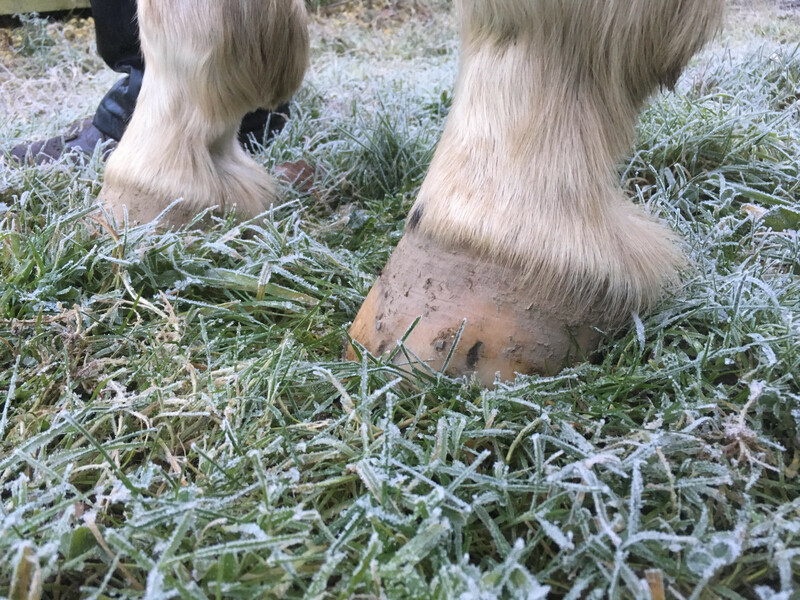 In dry frosty weather a hoof oil can help keep the horn moisturised and protected. Use a good quality one and ask your farrier which one would benefit your horse the most as many have different purposes. Allow the feet to have a dry period at some point in the day by standing your horse on dry bedding, rubber matting or hard standing, prolonged dampness can weaken the horn of the hoof. Regular trimming and attention from a farrier, even if not in ridden work as long toes and unbalanced feet can cause problems in the long term when the horse is brought back into work. Feed a biotin supplement, which is the only oral feed supplement scientifically proven to have a positive effect when fed at the correct concentration. Our supplement contains 4000mg biotin in a 1kg tub which is considerably more than any other product on the market. Allow at least 6 months for an effect as this is how long it takes for the hoof to completely regrow from the coronary band! Let us know if you have any comments, questions or concerns about your horse’s feet, we are here to help!